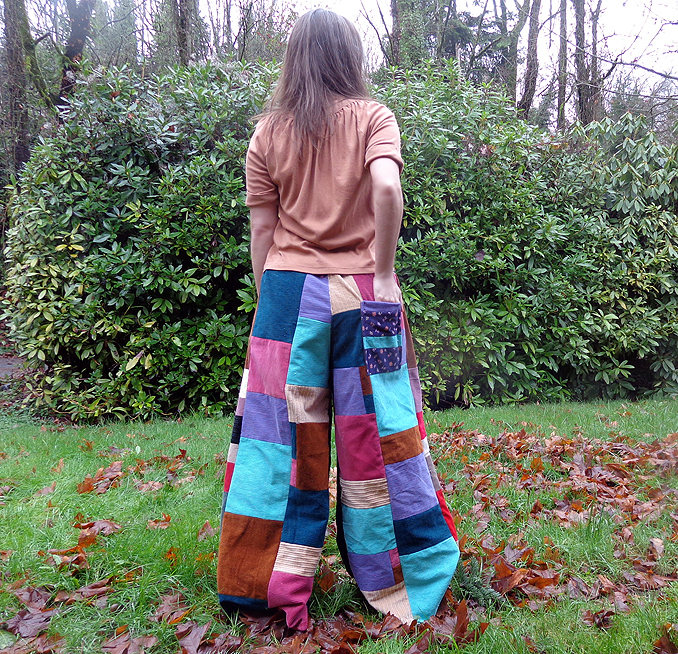 These crazy pants are super comfy and perfect for when you want to have the best time ever! 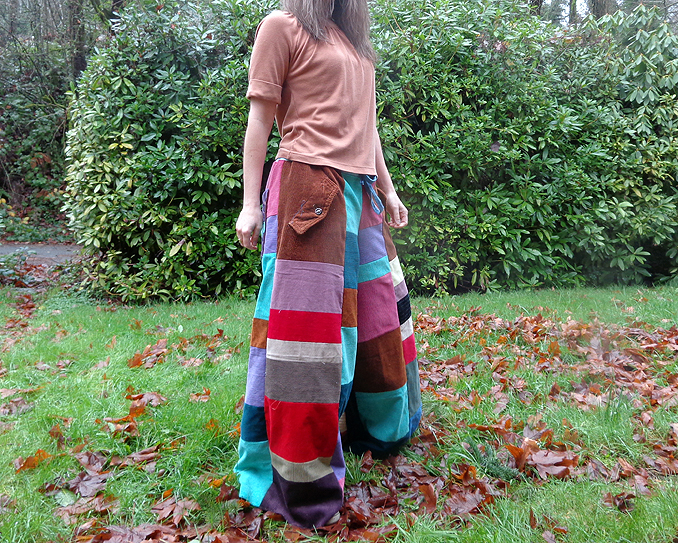 They are made with all corduroy, both new and recycled fabrics. The super wide legs are fun and great for spinning around and dancing! These pants have been worn only once and are in excellent condition. All the seams are double-stitched and over-edged to ensure longevity and prevent fraying. All the stress points are reinforced to avoid rips. All the fabric was pre-washed to test the integrity of the material and pre-shrink as needed. 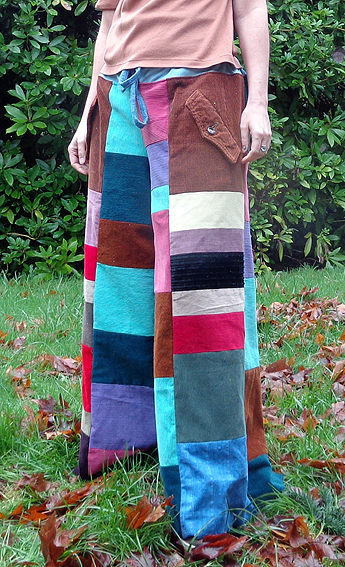 These pants have 2 up-cycled welted pockets with buttoned flaps and large space within. 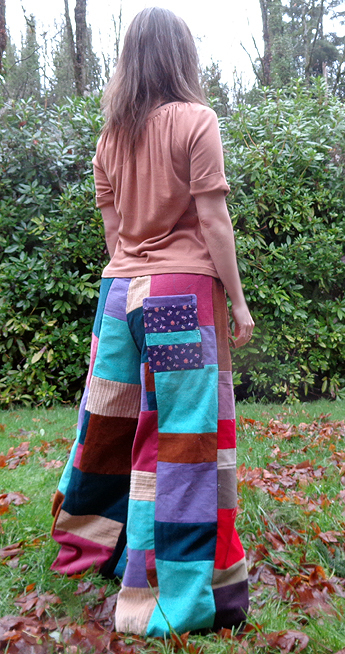 There is also a back lined patch pocket and a *hidden stash* inside in the front. The cinched waist makes them a great fit for medium sizes. Enjoy!